It’s probably foolish to try to distill the message of a 2+-day conference where a wide variety of participants covers dozens of topics, yet that short and simple sentence has come back to me over and over again as I reflect on my time at Slow Fish 2018. The second annual conference, which was held April 15-16 in San Francisco, helped me to realize that sometimes when you want to understand a forest, you have to actually walk in and take a look at some trees. Because most of my work is with federal fisheries, I tend to look at fisheries on the macro level. Even though I regularly meet with fishers, I tend to think of the people catching fish in our oceans as commercial and recreational sectors more than individual actors. Fish stocks are measured by the millions of pounds, while the methods in which they are caught and the quality of fish that ends up on the plate are often—regrettably—afterthoughts. Conservation efforts come from acts of Congress and management councils, instead of responsible distributors and innovative fishers. I’m in no way saying this is good. It’s just what happens to my brain when I’m looking at op-eds and fish stock reports on my computer screen all day. At Slow Fish there was such a wide array of people working in fisheries that to lump them all into groups like “the commercial sector” would be reductive and borderline disrespectful. I met Alaskans who have been fighting alongside indigenous groups for years to maintain the health of their waters and fish and people. There were seaweed foragers and farmers who could barely contain their love for algae and the cold waters they dive in everyday to harvest it. I heard from a young fisher in New Hampshire about the obstacles he faces in trying to overcome the financial barriers preventing his entry into the fishery. 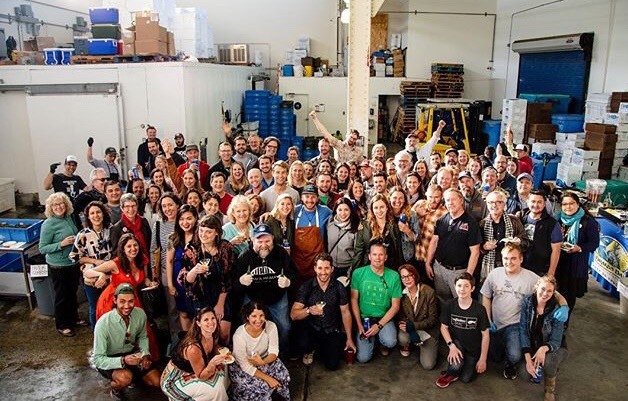 I was green with envy at everyone on the West Coast who has access to thriving dockside markets and community supported fisheries that connect fishers more directly with eaters. I could go on and on about the people doing great and innovative work, but chances are that if you have an interest in fish and live in their areas, you probably already know who they are. They are small harvesters and distributors who have enormous impacts on the fisheries and the people who live near them. Their labor leads to healthier ecosystems and higher quality fish, which I was lucky enough to eat in obscene quantities at the conference. Almost all of the Slow Fishers are working on global- or national-scale problems. Almost none of them talked about scaling up their operations to the global or national level to solve them. At Slow Fish, the emphasis is on replicability, not scalability. The core tenets of Good, Clean, and Fair tend to get lost on an industrial scale. 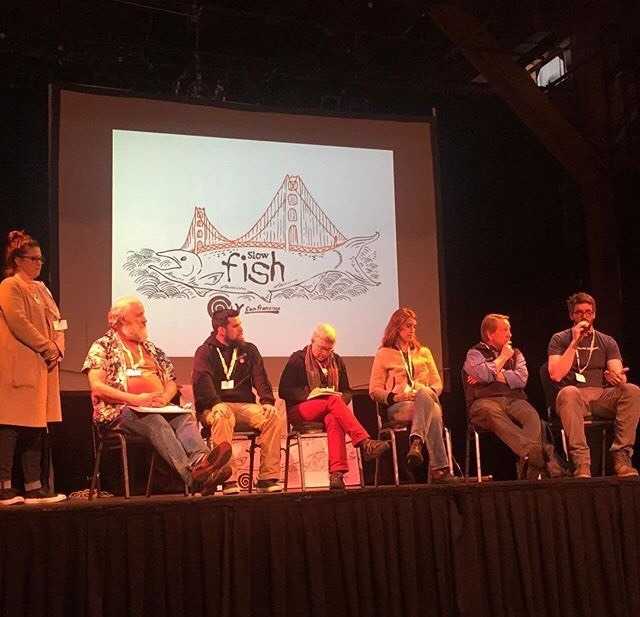 Some of the issues covered at the conference included the challenges we face from open-ocean factory farms, the effect that legalized marijuana may have on wild salmon, how the natural cycles of the moon will affect oyster farmers, and how freezing fish can actually improve its quality. I also heard from many commercial fishers who were deeply and vehemently opposed to individual fishing quotas (IFQs) or catch shares. This, for me, was entirely unexpected. I have been working on fisheries for only a short time and only in the Gulf of Mexico. The commercial fishers and environmentalists I work with tend to be supportive of the IFQ system because it is seen as a better alternative to the antiquated derby system. 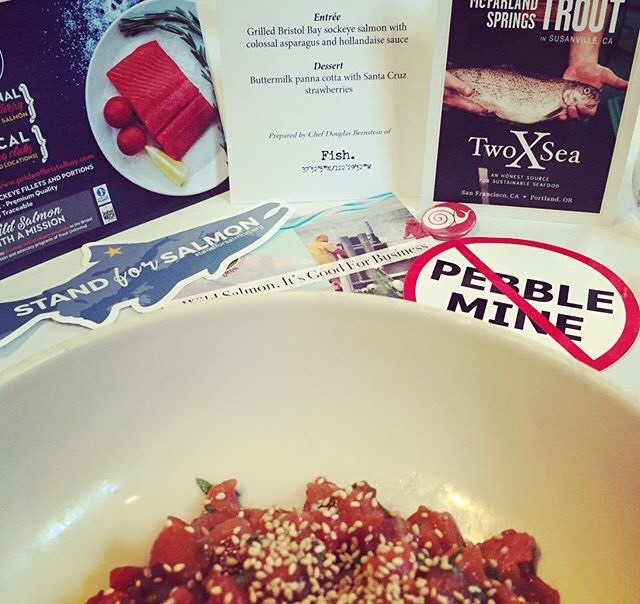 But many conservation-minded fishers at Slow Fish decried the consolidation that is squeezing many of them out of the industry. Some told me that the conservation effects of IFQs may be overstated or nonexistent. This will certainly be a major challenge going forward. We as like-minded fisheries advocates will have to figure out how to make sure the conservation measures we advocate for are fairly treating our community fishers and that nobody is getting left out. But before we address equity in the industry, we still have to make sure we have healthy fisheries. That’s why I, and many others, were urging all in attendance to pay more attention to the Magnuson-Stevens Act reauthorization. Both H.R. 200 and S. 1520, which are currently working their way through Congress, would undermine MSA’s science-based approach that is focused on abundance and take us back to the bad old days of boom and bust fishing. Though advocates of the bills often cite catch shares as a reason to gut MSA, neither bill would affect existing catch share programs. We really would be throwing out the baby and keeping the bathwater. The threats our fisheries face are large and complex, but what I learned at Slow Fish is that we can tackle them with small, achievable steps and that we are all stronger when we collaborate. Even the small can be mighty when we have strength in numbers.